Our prestigious 35sqm suite is furnished in a classic, elegant and refined style. Characterized by two bathrooms, living room with sofa bed and double bedroom. 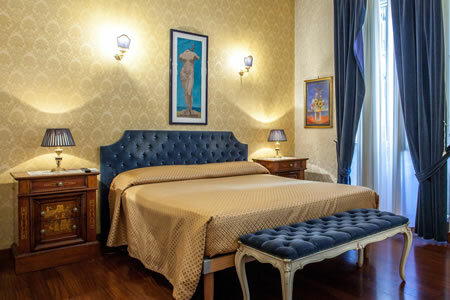 The Junior Suite of about 30 square meters is furnished in classic style. It has a double bed, a single bed and a large bathroom in Carrara marble. 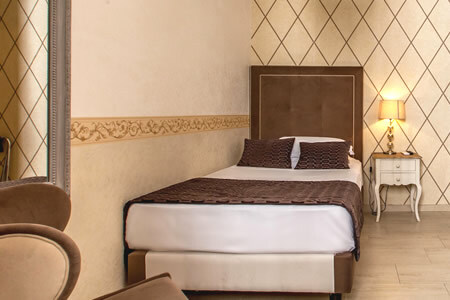 Our double rooms, equipped with all comforts, are located in the main building, “Pantheon Palace” and are characterized by different styles. 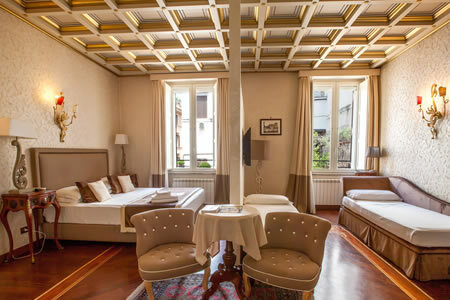 Our recently renovated standard double rooms are located in a building next to the main building, “Pantheon Palace”. 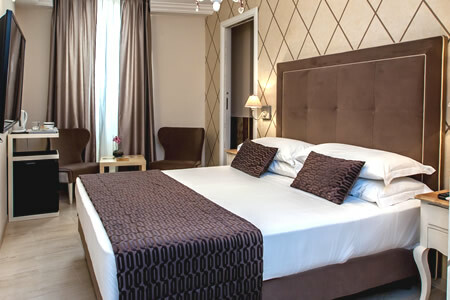 The single, small but cozy and elegant, located in the building next to the main building “Pantheon Palace” is equipped with a French bed and a bathroom.